What’s in a name? Well I hope to find out as the above is the revised title for my book. The title doesn’t change anything I’ve written but maybe it will arouse the curiosity of the browser and identify the target market more clearly. “Those of us who have worked with the Japanese and who admire their business achievements as I do know how long it takes the Japanese to reach a decision. One is lulled into a totally false sense of security by the apparently endless debate and the thoroughness of the involvement of people at every level of the organisation in the decision, because when the action stage comes they move like greased lightning. Far faster than we do. “Some years ago we licensed a process to build a paraxylene plant to the Japanese and as part of the deal put an engineer in with their design team. We were simultaneously building an identical one in the UK and we had each taken the decision to go ahead at the same time. After four months we were already breaking ground and priding ourselves on being well ahead of the Far Eastern opposition who, according to our engineer, were still endlessly debating items of design and equipment. The mistake that the British planners made is repeated endlessly in every type of organisation, at every level and with every type of planning. Planning can be simplified to three basic stages. The fundamental error that the British made was to place their plan of execution on Stage 1 rather than, as the Japanese did, on Stage 2. As a consequence, the process of execution was made on the run with insufficient thought given to the myriad implications of the plan on taking a chemical plant from a green field site to commercial production. It’s my experience that most planners have difficulty in separating Stages 1 and 2 and this factor is one of the major reasons for developing my Wagon Wheel business model. 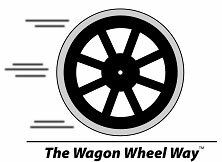 The hub of the Wagon Wheel represents the Plan or Stage 1 of the process. This is connected to (but kept separate from) the wheel rim and the metal band by the spokes. The wheel rim and the metal band represent Stage 2. The question that is repeatedly asked by the planners is “what are the implications of what we are going to do on how we are going to do it”. Only when this question is exhausted, does Action planning start – based on the findings of Stage 2. There is one further key to the Japanese success in beating ICI so conclusively to the start-up. It lies in Harvey-Jones’ words – “… the thoroughness of the involvement of people at every level of the organisation in the decision”. Such involvement leads to organisational alignment which is fundamental to execution to die for. It’s the first of my five OMLETTE factors – Organisational Alignment, Management of Change, Leadership, Teams and Teamwork and Employee engagement. Of course, my book is rather more comprehensive than the above brief look, but underlying the detail is the fact that planning is largely a cerebral activity, whereas execution is a human one. “Execution to die for” shows you how to combine the cerebral and the human to really make it happen in the way in which you envisaged. You are currently browsing the Plans To Reality's Blog blog archives for September, 2010. Implementation – what universities don’t teach – and won’t? – and can’t? – and should!